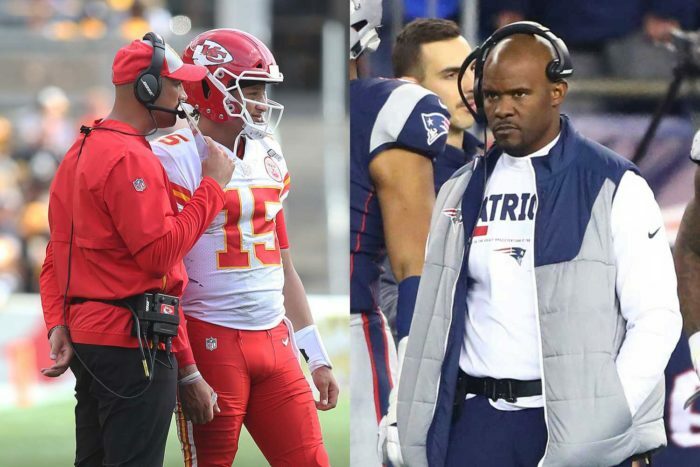 When the Kansas Chiefs lost to the New England Patriots, 43-40, in Week 6, few people blamed it on Patrick Mahomes. The presumptive NFL MVP passed for 352 yards and four touchdowns in that game. However, Mahomes did throw two interceptions early in the contest, allowing the Patriots to jump out to a 24-9 halftime lead. The Patriots defense showed Mahomes a variety of blitz packages and different looks in an effort to confuse the young quarterback. And it worked. Helping Mahomes make those adjustments on Sunday, when these teams meet again in the AFC Championship Game, will be Chiefs quarterbacks coach Mike Kafka. While head coaches Andy Reid and Bill Belichick will lead the way for their respective teams, the coaching matchup between Kafka and Patriots defensive play-caller Brian Flores will be fun to watch. Kafka, who was a backup quarterback with the Eagles under Reid, joined him in Kansas City last season. While Kliff Kingsbury has gotten plenty of mileage out of being Mahomes’ coach at Texas Tech – getting hired this week as the new Arizona Cardinals skipper – it’s really Kafka who deserves a good deal of credit for grooming the Chiefs’ All-Pro passer these last two seasons. 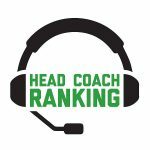 Some people are already starting to mention Kafka as a future NFL head coach himself. Flores, meanwhile, might be a head coach in a matter of days. He will reportedly land the vacant Miami Dolphins job once the Patriots’ playoff run is over. Flores has been with the Patriots since 2004, starting as a scouting assistant and working his way up to linebackers coach. Belichick is the de facto defensive coordinator, but he turned over play-calling duties to Flores this season. Mahomes looked solid in his NFL playoff debut last week against the Colts, but New England poses a much greater challenge. According to NFL.com, the Patriots are 8-0 against quarterbacks with one or fewer playoff starts since 2001, allowing just 56.9 completion percentage, 230 yards per game, only nine TD while intercepting 10 passes. Flores has played a part in that history and has certainly learned well from Belichick. If Kafka can help Mahomes solve Flores and the Patriots’ defense, the Chiefs’ young quarterback could find himself one win away from doing something Patriots QB Tom Brady did 17 years ago: winning the Super Bowl in just his second NFL season.